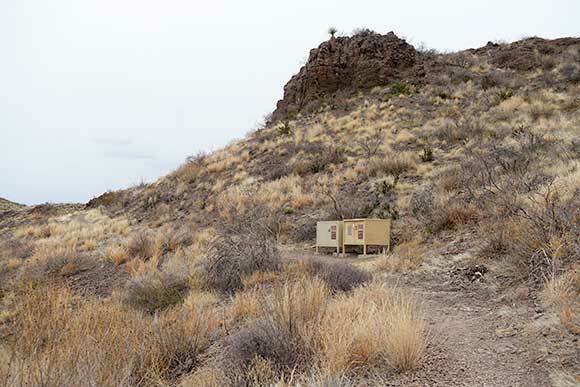 The Homer Wilson Blue Creek Ranch Trail is a short hike off of Ross Maxwell Scenic Drive in Big Bend National Park down to a small ranch house in the Blue Creek Valley. The small ranch house that you’ll find here wasn’t the main house for the Homer Wilson Ranch, but only a secondary house for this part of the vast ranch. The main house and ranch headquarters sat to the North in Oak Canyon. 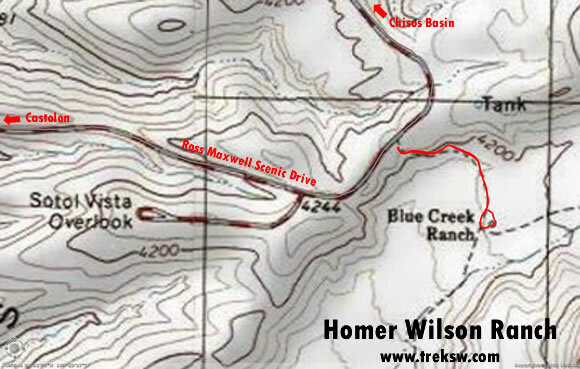 To get to the trailhead for Homer Wilson Ranch Trail (29.216543, -103.369370), take a left out of Park Headquarters at Panther Junction and drive approximately 13 miles to take a left hand turn onto Ross Maxwell Scenic Drive to Castolon. From there, you’ll need to drive about 8.1 miles to a pull-off on your left. You should see a sign indicating the trailhead is coming up before you get there. It’ll be about 1.2 miles past the pull off for Upper Burro Mesa Pour-Off Trail. The trailhead begins on the hilltop at the pull-off. From here, you’ll be able to look down into Blue Creek Canyon where the ranch house sits. 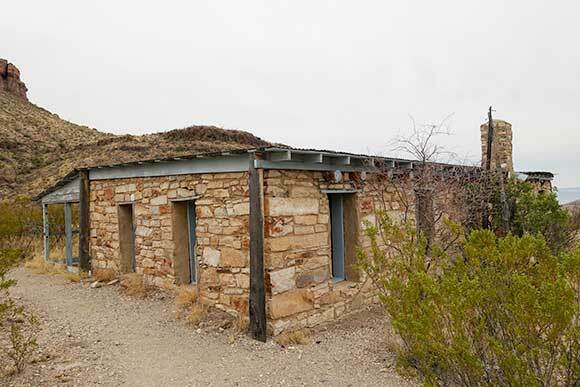 Your hike will take you down the steep hillside to the canyon floor where this once active homestead sits. As you hike down into the valley below, you’ll see a couple of large bear boxes alongside the trail. These bear boxes are used by people hiking the three-day Outer Mountain Loop Trail to cache their water. Once your down by the ranch house, you’ll see Blue Creek Trail heading to the Northeast and Dodson Trail heading to the South, which are both part of the system of trails that make up the Outer Mountain Loop. People hiking this grueling trail system will preposition their water here due to almost no water being available along their multi-day hike. The ranch house itself is very well preserved. You’ll notice in exploring it that, except for some store bought lumber, a large part of the materials used to construct it are locally sourced from the region around the ranch. 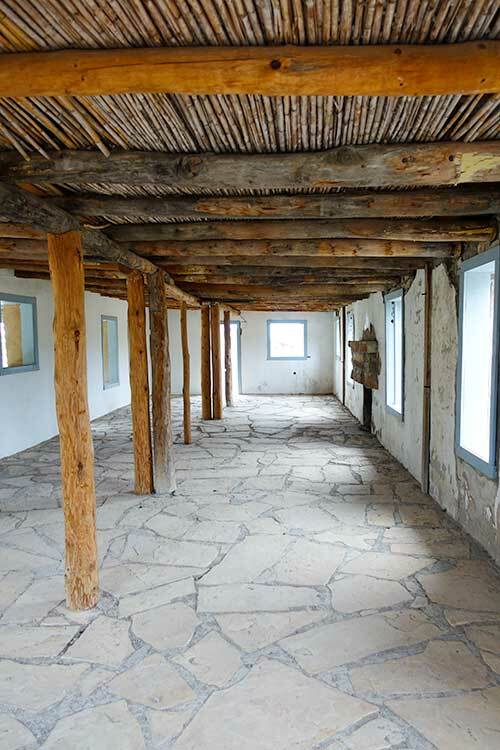 In the interior, you can see reeds for the ceiling that were sourced from near the Rio Grande, timber that was sourced from around Chisos Basin and stone, sand and gravel that was sourced right there in Blue Creek Canyon. Not too bad of a life for an early 1900’s ranch foreman. 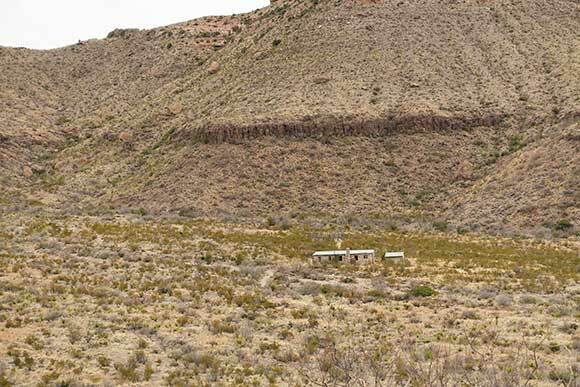 As you explore the rest of the area surrounding the ranch house, you’ll see the remnants of a small storeroom, an outside barbeque fireplace, corral, outhouse and chicken coup.